Spoken like a true liberal – with NO regard for the common man. 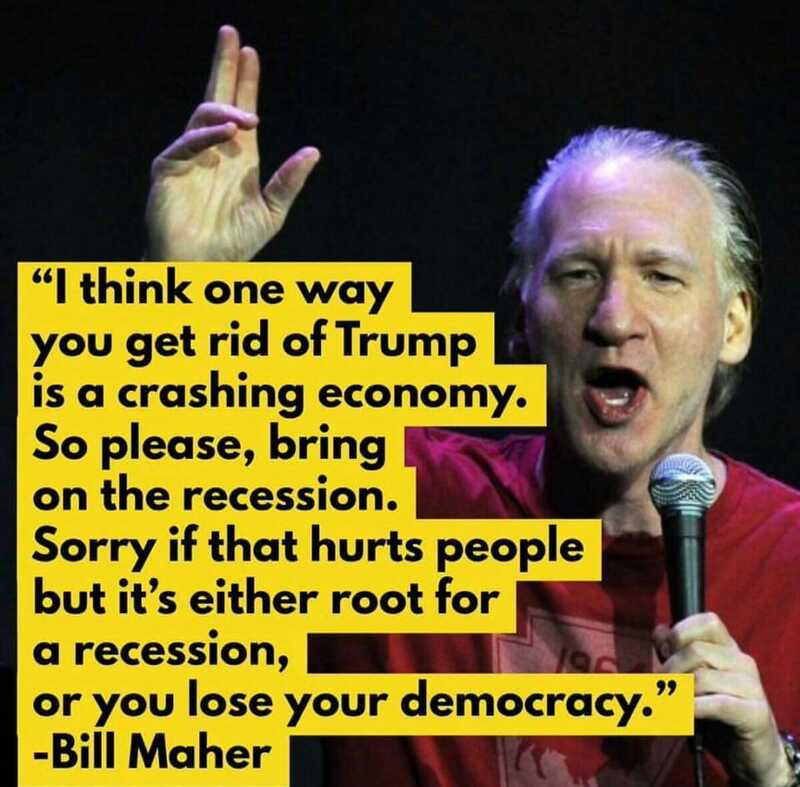 Far left comedian Bill Maher told his audience on Friday he hopes the economy collapsed to Get rid of Donald Trump as president. Maher admitted the economy “is going pretty well” on his show on Friday night. Then he told his audience he hopes it tanks.